Can Indian Design lead from the front? 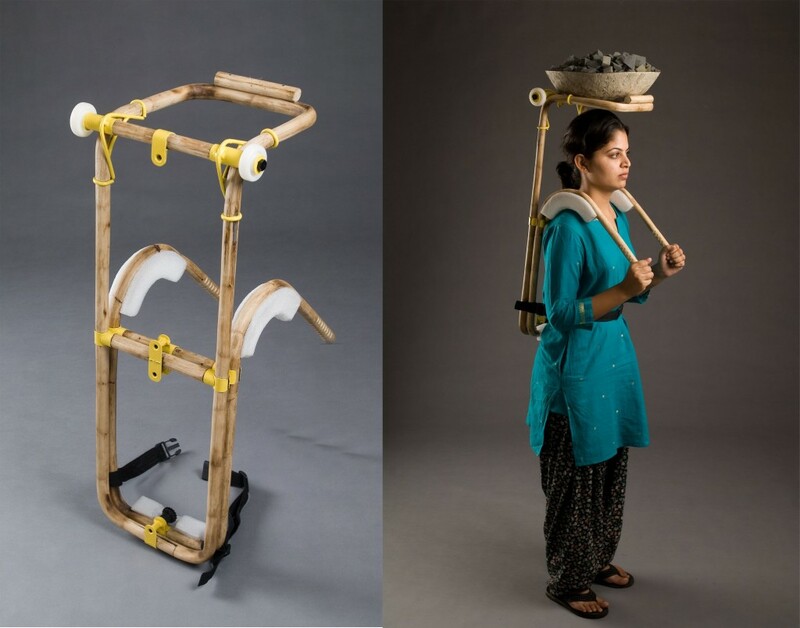 When NID’s senior design faculty Vikram Panchal won the international Core77 Design Award for the Best Design for professional equipment this month, it was for a humble load carrier. The product competed with all professional equipments to win the gold in the category. This must be a first for Indian Product design. The award is an important recognition of the fact that Indian design looks into areas that other countries have never considered! The design was developed a good 20 years ago. Which just goes to prove that we have always had the talent. It is only being recognised now by the world community. The award is also a recognition of areas where design inputs are required and India is clearly showing the way in this for the rest of the world. In a new development, Stanford has said that the future in medical design may be in India. Stanford India Biodesign is a new iniatiative, a three-way collaboration of Stanford-IIT-AIIMS is working towards medical equipment design. The article goes on to recognise the fact the future of US’s medical design may be in India. In the article, the emergency ‘bone-drill’ was developed and the Indian team was told that…”the device needed to be disposable, have a low part count, be inexpensive, easily assembled, capable of being used by a poorly trained person, and able to be manufactured cheaply in India.” This sounds like a design brief for any product in India! We are almost always working with such seemingly impossible conditions and such talent is now being put to good use for international design. GE , a pioneer in the medical design field has successfully managed to leverage this talent by what is called ” reverse innovation” to design low-cost electro-cardiogram machines that costs less than $1000. Another example of Indian design expertise in colloboration with international engineering expertise. This is just the beginning. Indian design needs to take the lead in projects that have never been considered for design intervention. We need to teach the world the Indian expertise of working with chaos. We need to show that cane and bamboo can be as important a material to be considered as carbon fibre! That cost cutting will benefit GE and the American economy as much as the TATAs and the Indian economy. We need to bring our ability to collaborate with different cultures for the common good of solving the world’s problems. We need to bring forward, our ‘jugaad’ or ability to innovate amongst trying conditions! Indian designers have a lot to contribute, but now is the time to lead. Indian designers, go forth and lead!